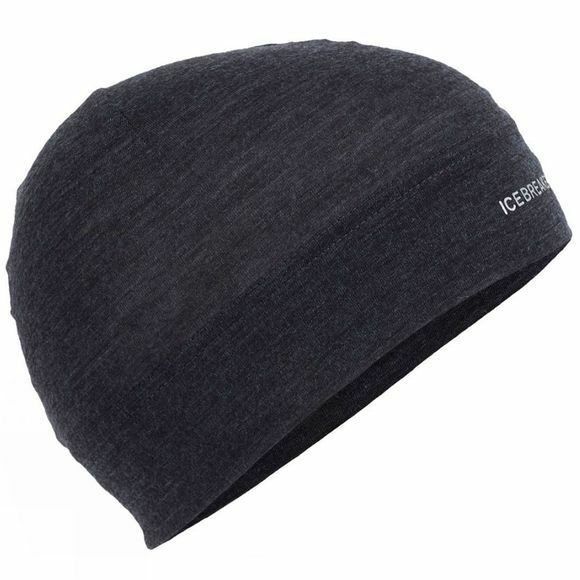 Icebreaker's soft and stretchy lightweight beanie that’s a go-to for evening runs, unexpected chills and summer trips to the mountains, the Flexi Beanie features Cool-Lite fabric for quick-drying performance and incredible breathability. It's made with a soft blend of merino wool and natural Tencel, the Flexi also features corespun fabric, which uses nylon fibers wrapped in merino wool for added durability that retains next-to-skin softness. The double-layer cuff reduces chafing, and a reflective Icebreaker logo increases visibility in low light.